DK Publishing DK Publishing, United States, 2016. Hardback. Condition: New. Collectors. Language: English. Brand new Book. 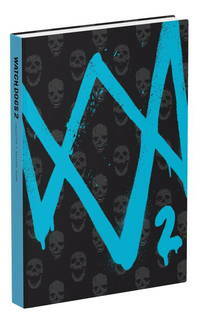 The Watch Dogs 2 Collector's Edition Guide includes.Bonus Item: Only available in the Collector's Edition.Mission Completion Guide: Uncover every single detail for all main missions and side missions.Area and World Maps: Research all of the locations within the game's massive open world and learn every mission area inside and out.Hacking Training: Learn tricks to distract guards, hijack cars, and break into security systems.Intel and Tools: Use drones, robots, and hacking tools to bring corrupt individuals to their knees.Find All Collectibles: Use our maps and atlas to find every collectible in the game for 100% ee Mobile-Friendly eGuide: Includes a code to access the eGuide, a web-access version of the complete guide optimized for a second-screen experience.. 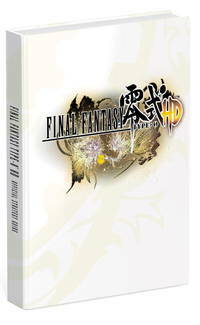 Final Fantasy Type-O HD 2015 Prima Official Game Guide. Prima Gamea 236 color illustrated pages, fine condition. .
Games Of Patience For One Or More Players . 1896, 2ND EDITION. 1896 L Upcott Gill London, 1896. 2nd edition. 92 + 88 + 84 + 11 + (5)pp. 8vo. Green cloth with art nouveau leaf design and gilt lettering on front and spine. Original brown floral eps. Covers : FINE. . Bagged for Posterity. Rules of Russian Bank (1915) First Edition. By Edward Brokaw & Progressive Literatue. 1915, near fine in the original dark red cloth bds. 20 illustrated pages. . 16mo - 6.75" x 4.5". Bagged for Posterity. 1904 Hardcover Publisher: George Routledge & Sons Ltd London, 1904 5th edition. Small 4to. 4 + 122 + (1) + (1)pp. Numerous playing card arrangements in red & black as plates and in text. Text banded in double red lines around page edges. Publisher's green pictorial cloth covers, red lettering + black & red playing cards face up in circles on front, gilt lettering + 2 crossed playing cards on spine. Original eps. Near Fine condition overall. .
Hardcover Publisher: Everyman Chess 2003-2004, London, Great Britain, 2006. All but # I are first printings, Volume IV is missing the dust wrapper. Covers Steinitz, Lasker, Capablanca, Alekhine, Euwe, Botvinnik, Smyslov, Tal, Petrosian, Spassky, Fischer.. About Fine/Near Fine. NY: Kendall & Sharp Inc., 1935 A quite scarce title by this alleged Bridge expert. 128 pages, includes the answers. The game cards are nearly pristine with just the first one partially filled out. Interesting as all of the game words are famous names from throughout history. i.e. Alexander, Cornwallis, Hawthorne, Jefferson, Montezuma, Plutarch, Voltaire, etc.. 1st. Hard Cover. Near Fine. Illus. by Assorted. 8vo - over 7¾" - 9¾". Bagged for Posterity. New Haven, CT: Gilbert, 1919 Publisher: New Haven Gilbert 1919. Near Fine Condition-cover torn at the spine seam from the bottom to the top of the first staple, about 2" (this does not affect the visual appearance of the front cover.) 64pp, illustrated magic tricks with a section after explaining 'The Complete One Hour's Entertainment' (12 pages) followed by another 3 pages of illustrated ads. A very nice early example rarely seen in this condition. Photos available.. 1st Thus. Illustrated Wraps. Near Fine/NA. 16mo - (Tall). Stone Mountain, GA, U.S.A.: White Wolf Publishing, Incorporated, 1993, 1993 Illustrated Card Wraps. VG/Good. 4to - over 9¾" - 12" tall. VERY SCARCE: 312 pges, Illustrated. The true first printing of this book which was later reprinted in 2000..
NY: Frederic Stokes, 1932, 1932 Hard Cover. VG+/NA. First. 16mo - over 5?" - 6?" tall. VERY SCARCE: 108 pages..